From December 28th to January 20th, Lennon and McCartney fans were treated to the theatrical concert „Hey Jude“ at Forum in Copenhagen. 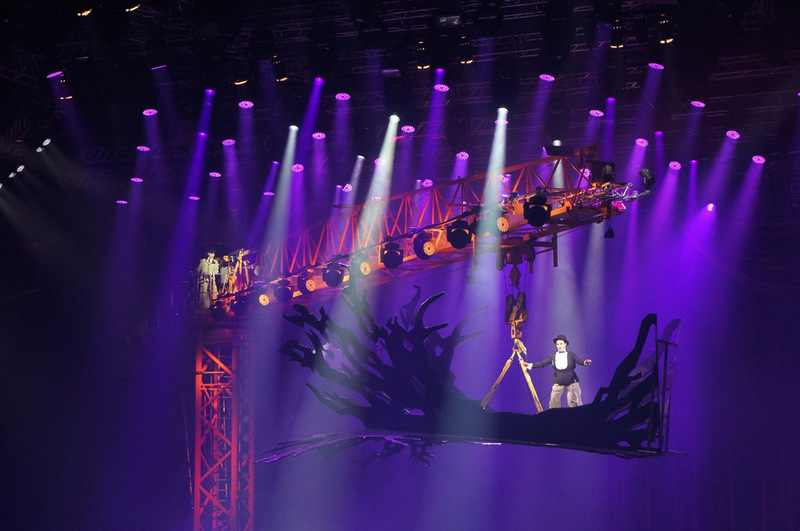 A spectacular musical and visual treat with lighting design by Jonas Bøgh, the Beatles-inspired show used a host of Martin Professional MAC luminaires, including the new MAC III Wash™, with supply by Nordic Rentals. The MAC III Wash is a new, full-feature Fresnel luminaire in Martin’s 1500-watt MAC III series. It features a unique internal barndoor system (shutters) that enables designers to shape and control light projection with great precision. Its 50,000+ lumens of power and host of automated features make it a highly capable substitute for a conventional 2.5 kW daylight Fresnel fixture. “In some parts of the show I wanted to cut off the huge elements in the background, but still be able to use the MAC III Washes for top/backlight. Here I used the very precise shapers [internal barndoors] and together with the iris was able to make a big wash from the back without lighting the containers,” Jonas comments. Jonas used another Martin MAC III series luminaire with internal framing system, the MAC III Performance™, which features an interleaved framing system with full crossover of each blade, as a top wash, hanging them in a precise coordinate system. Jonas turned to Martin’s LED range of luminaires as well in the form of MAC Auras and MAC 401s, which he hung in the large building crane.